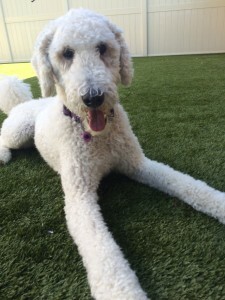 For dogs that need a more structured day care program we recommend our Day Care Plus Program. Here they will get one/one play time or a very small dog groups, allowing them to participate in their own unique way, at their own comfortable pace. We think it’s perfectly fine that not ALL dogs can mingle appropriately all day with other dogs. We understand that some dogs like a more structured day. May be your dog is “choosey” about his dog friends, or maybe he just prefers to be with people. Our Day Care Plus Program is the perfect solution. We do require a reservation for our Day Care Plus Program. Unfortunately, you may be turned away if you show up without a reservation.